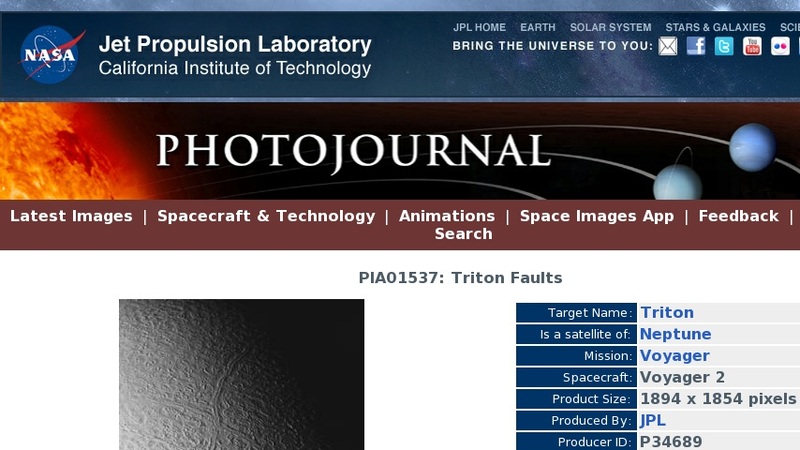 This image of Triton was taken from a distance of about 130,000 kilometers (80,000 miles) at 12:20 a.m. PDT Aug. 25 1989. The image was received at JPL four hours later at about 4:20 a.m. The smallest detail that can be seen is about 2.5 kilometers (1.5 miles) across. The long linear feature extending vertically across the image is probably a graben (a narrow down dropped fault block) about 35 kilometers (20 miles) across. The ridge in the center of the graben probably is ice that has welled up by plastic flow in the floor of the graben. The surrounding terrain is a relatively young icy surface with few impact craters. JPL manages the Voyager project for NASA's Office of Space Science.